The Award-Winning best of the Sonoma County Plumbing Companies! Why is Super Service Plumbing the best of the Sonoma County Plumbing Companies? Because Super Service Plumbing and our highly trained & professional technicians are always prepared and always ready to solve your plumbing problems, 24/7! …And, we’re on call 24/7! If you need a professional, please call (707) 544-6444! Saturday rates are the same as Weekdays! 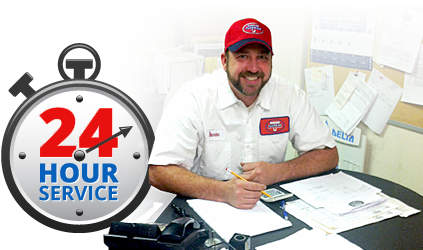 Super Service Plumbing is proud to provide emergency 24-hour plumbing repair as a division of LeDuc & Dexter Plumbing.